Divine Intervention opens with a BANG. The very first sentence reads: It always began with the dead girl in her closet. And from there it gets even better. Divine Intervention is written by Cheryl Kaye Tardif, one of Canada's best-selling authors. I believe this book is a good indication as to why Tardif sells so many books, because Divine Intervention has it all: political intrigue, a medical doctor as a murder victim, the Canadian Federal Bureau of Investigation, and plenty of twists and turns. These alone would make this book an exhilarating read, but Tardif takes it to an even higher level by adding a very unusual protagonist. In this book, you will meet Jasi McLellan, the CFBI Agent who has the gift of psychic abilities. She is one of the Psychic Skills Investigators assigned to Divine Ops, named after founder Mathew Divine. Here is yet another clever twist to this book. I had assumed the title had to do with a higher power, yet in reading this book, I see it isn't...or is it? The plot is fast-paced and exciting. When the father of the Premier of British Columbia, Allan Baker, is murdered in an arson-set fire, a connection is made to a previous arson case. That brings the CFBI into the picture. The murder victim, Dr. Washburn, was not loved by his son who is now trying to run for Prime Minister and who was publically embarrassed by his errant father. It would perhaps be convenient if Daddy was out of the picture entirely. While alive, Dr. Washburn may or may not have been drunk while performing an operation that killed his patient, so we have another suspect, the son of that victim. And try as hard as she can with her psychic skills, Agent McLellan can only picture the act of arson in her mind and the emotions behind it, not who did that act. Divine Intervention has something for everyone. It has really cool CFBI tech-gadgets, likeable protagonists, a rousing, fast-paced plot, and lots of twists and turns. This book will take you on a roller coaster ride from start to finish. And even when it seems that Agent McLellan has the case all wrapped up, there is still one more surprise at the very end. Cheryl Kaye Tardif writes with crackling prose that grips you and doesn't let you go. 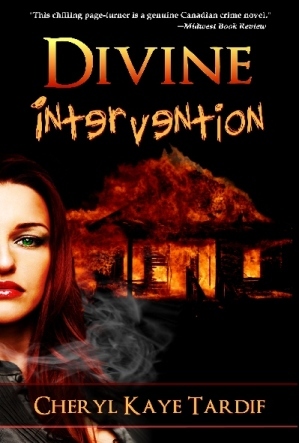 Divine Intervention contains "human" characters, intense villains, realistic dialogue, and great plotting. When you read this book, expect to spend a block of time with it because you won't be able to put it down. 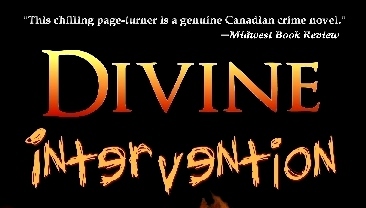 Divine Intervention is a thrilling page-turner that will keep you up long into the night. And there is even more good news: Divine Intervention is the start of a series about CFBI Agent Jasi McLellan. The first book in any mystery series can be hit or miss due to the necessity of laying groundwork and introducing background information, but Divine Intervention is definitely a hit. I advise you to buy it now because the second in the series, Divine Justice, has just come out this month, and I can guarantee you are going to want to read that one as well. You can buy Divine Intervention HERE. Cheryl Kaye Tardif is an award-winning Vancouver-born suspense author now residing in Edmonton, AB. All of her works touch on some element of suspense or mystery. Her bestselling novels include: Whale Song, The River, and Divine Intervention. She's also the author of these new releases: Remote Control, a novelette, and Skeletons in the Closet & Other Creepy Stories, a collection of suspense/horror stories. When asked what she does, Cheryl replies: "I kill people off for a living." In 2004, Cheryl was nominated for the Lieutenant Governor of Alberta Arts Award. In 2006, she was a contestant on A Total Write-Off!, a reality TV game show. The 2007 edition of Whale Song won two cover awards for Best Cover of the Month and Best Cover of the Year. In 2008, Cheryl's novelette Remote Control placed in the finals of the Textnovel Writing Contest. In 2009, she placed in the semi-finals of Dorchester Publishing's "Next Best Celler" contest with her romantic suspense Lancelot's Lady, which is written under the pen name of Cherish D'Angelo. In 2010, Lancelot's Lady won an Editor's Choice Award from Textnovel. 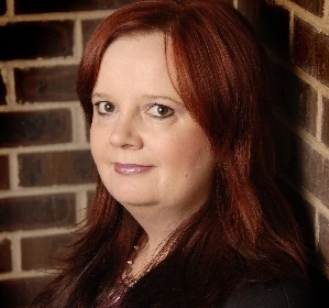 A full-time writer and shameless self-promoter, Cheryl has presented at many events, and she's appeared on TV, radio, in newspapers and magazines across Canada and the US. She is represented by Jack Scovil of Scovil Galen Ghosh Literary Agency. You can visit Cheryl Kaye Tardif HERE. 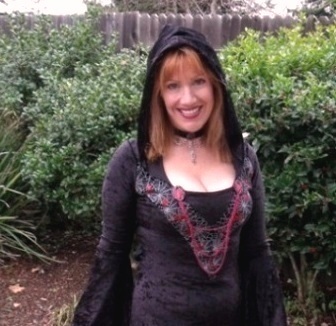 See all of Cheryl Kaye Tardif's books HERE.